Lauren Blaylock Teare is a full time, top producing Realtor since starting in the business over thirteen years ago. Named a top producing Agent by the Houston Association of Realtors and awarded the coveted "20 under 40 in Real Estate" award, Lauren has the experience you need to get the results you want! With her thorough understanding of the market, she combines her knowledge providing top notch customer service,giving her clients exceptional results. 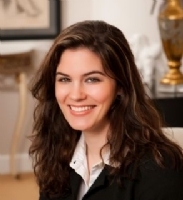 Lauren maintains a positive attitude, demonstrating an ability to work well with other agents. Thorough, organized, and with an exceptional eye for all details big and small, she is a master at handling contracts and transactions of all sizes. Over the past decade, Lauren has earned a reputation amongst her co-agents and clients for her energetic personality, hard work, and a total commitment to exceeding her client's service expectations. When it comes to helping her clients buy and sell houses, Lauren is always working to understand her clients different needs and goes above and beyond to make sure they have a great experience from start to finish.